The FIRE Student Network (FSN) is a diverse coalition of college students who care about protecting civil liberties on campus. By signing up to be an FSN member, you’ll receive email updates with invitations to FIRE events; information about opportunities such as our FIRE Summer Internship Program and conference; tips for activism; and alerts about what’s going on your campus, in your state, and nationally. FSN members are the first to know about threats to free speech on their college campuses. The FSN team at FIRE makes sure that members have the information and resources they need to organize policy reform campaigns, coordinate on-campus FIRE speeches, write articles for student and mainstream publications, host activism events, and much more. FIRE is a nonpartisan, nonprofit organization dedicated to defending freedom of speech, due process, academic freedom, legal equality, and freedom of conscience on America’s college campuses. 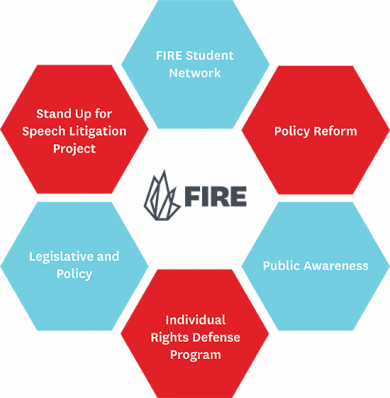 In addition to the FSN, FIRE defends free speech and due process on campus through five other programs, all of which offer some type of service or opportunity for students. Assists students, professors, and campus groups whose fundamental civil liberties have been violated. Students and faculty who believe their rights have been violated should submit their cases here. Publishes recent IRDP cases and past victories, which you can learn about by exploring FIRE’s case archives. Promotes state and federal legislation and policy that protects students’ and faculty’s right to freedom of speech and due process. Works with policymakers to combat legislation that would undermine the right to exercise freely and have fair judicial proceedings on campus. Helps to get legislation such as the Campus Free Expression (CAFE) Act passed on the state level. Evaluates campus policies and rates them based on how they stack up against the First Amendment. Students can request to have their school’s policies rated here. Assists universities with revising policies that violate students’ and faculty members’ fundamental rights and secures crucial reforms to some of the nation’s most egregious speech codes. 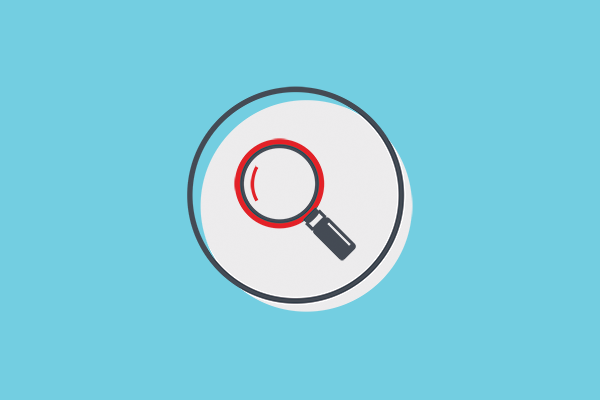 Works with students, student groups, faculty, and administrators by educating them about why specific policies are problematic. Works to educate the public about fundamental civil liberties on our nation’s campuses, raise awareness, and generate public pressure for reform. Engages the public through videos, podcasts, social media outreach, media engagement, and print publications. Works on a national scale to eliminate unconstitutional speech codes through targeted First Amendment lawsuits. Students who believe they have been censored on campus should submit their cases here. Over a third of public universities maintain at least one policy that restricts speech, even though that’s forbidden by the First Amendment to the United States Constitution. As of 2016, FIRE has won 237 policy change victories since its founding, moving freedom of expression forward for 3.6 million students (and countless more yet to arrive on campus). FIRE’s case submissions have nearly doubled over the last five years. In 2016 alone, FIRE received nearly 900 case submissions from students, faculty, and campus groups. Each month, FIRE features a “Speech Code of the Month” to highlight some of the most restrictive policies around the country. In 2016, six of the colleges selected reformed those policies, freeing speech for nearly 60,000 students.